The competitive team programs will allow gymnasts to fully develop their physical abilities and their proficiency in gymnastics. In addition, gymnasts learn the value of hard work, how to organize their time, the importance of setting goals, how to deal with frustration, success and failure. These are skills that will help them in school, career and life in general. The physical skills-strength, flexibility, agility-learned in gymnastics will carry over to any sport these gymnasts may later choose to pursue. Competition is not for everybody. Some thrive in a competitive environment, others do not. Some are ready at their present or level of maturity; others will need more time or may never prosper in a competitive environment. Our competitive programs require considerable time and effort commitment. These programs are all-year-round commitments and require summer training as well. The competitive programs are by invitation only. Unlike our recreational programs where gymnasts may sign up at any time, space and ability concerns limit the number of girls we can accept on the teams each year. 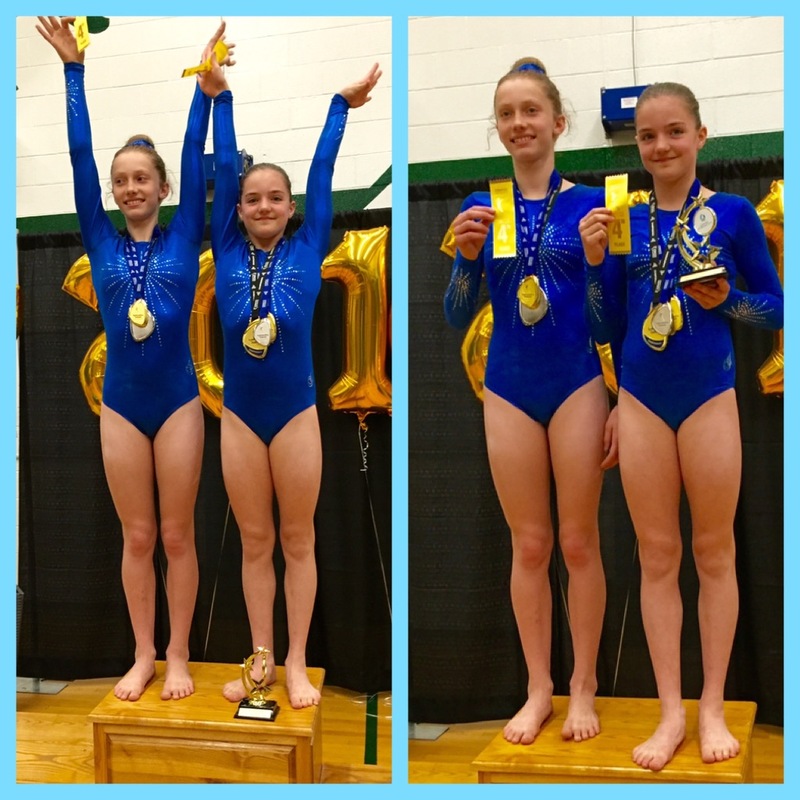 As a Gymnastics Ontario member club, Olympia Gymnastics follows the USAG Junior Olympic Program, developed with the belief that all athletes must have a solid foundation of basic skills in order to advance safely. This program also allows the gymnasts to advance at their own pace. Pre-Competitive athletes train between 4 and 8 hours per week. These athletes are selected by the coaching staff based upon motivation, demonstrated aptitude, ability to follow instruction, discipline, focus, etc. This stream prepares gymnasts for the competitive programs by developing and refining skills, flexibility and strength, by encouraging team building and by teaching goal setting. Invitational Competitive programs are offered to those seeking competitive experience. Invitational stream athletes selected from the pre-competitive program are capable of handling a more intense program than what the recreational programs offer. These athletes train between 8 to 12 hours per week. The Provincial Program athletes train 16 to 20 hours per week and compete at the provincial qualifying competitions in order to qualify to compete at the Ontario Provincial Championship. Acrobatic Gymnastics, although one of the oldest known sports, is a fairly new one to be introduced in Ontario. This discipline of gymnastics is open to both girls and boys, and involves choreographed routines that are performed with music on an Artistic Gymnastics floor. Skills include, but are not limited tumbling, balancing, throws, catches and static holds.